Enjoy your coffee, cocoa or tea with these stunning two tone coffee mugs. 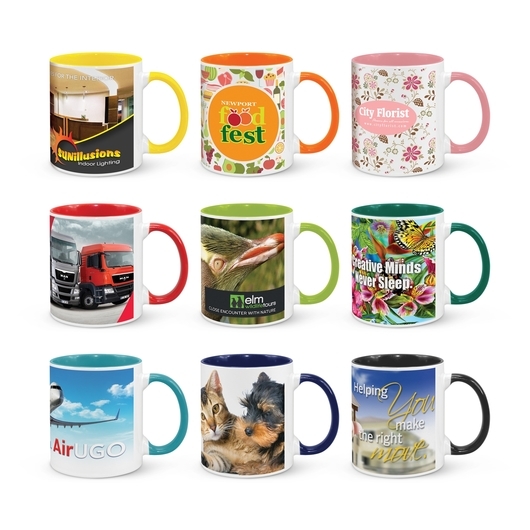 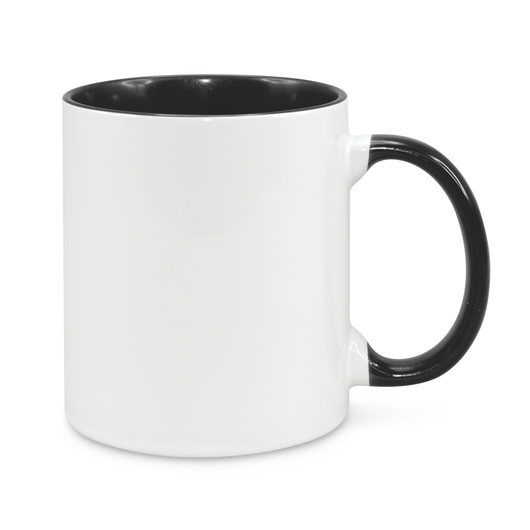 A premium mug that will enhance your brands logo and make your morning coffee or tea that much better. 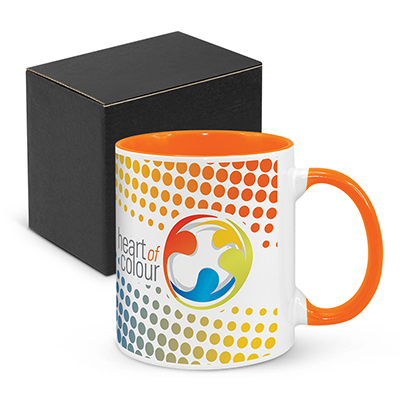 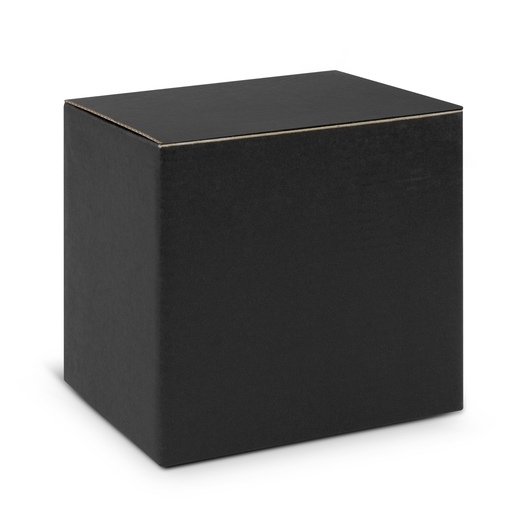 This round 330ml, D handle stoneware coffee mug comes nicely presented in a black gift box. It is designed for full colour wrap around branding which is dishwasher safe. 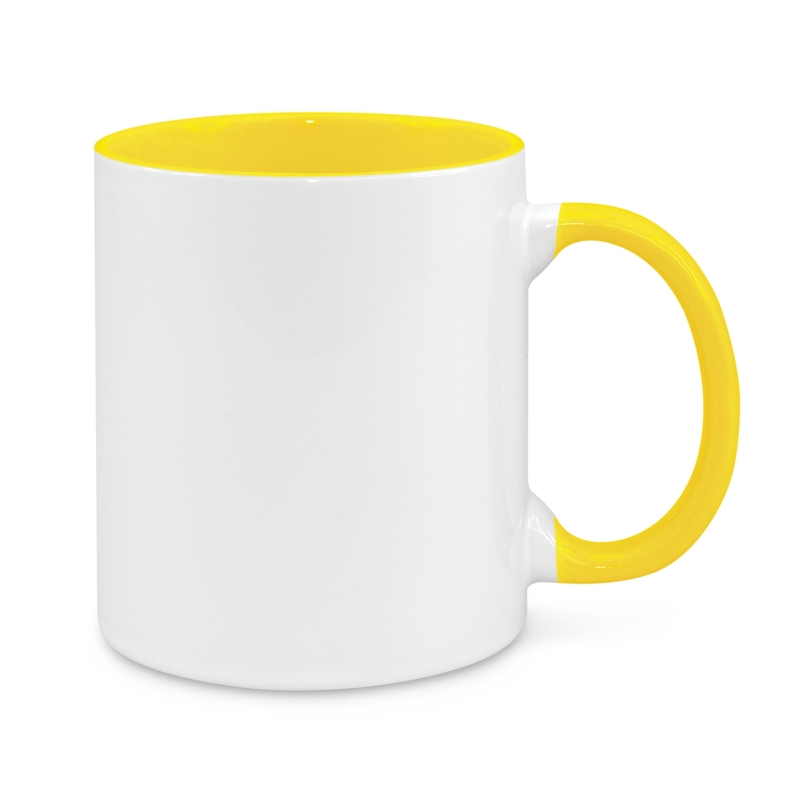 Featuring a vibrant coloured inner and mug handle!